I'm a bit confused about this buckle and so I would appreciate some thoughts from the forum. I recognise a Dutch mark - the tax mark for large foreign items - but I can't place the others. The mark in the top right hand corner of my second picture is, I think, a maker's mark. However, it's on the curve of the hook, is very distorted and is badly stamped. So, it's very difficult to make out and certainly I can't get a better picture. Possibly, it reads 'Iy' in a heart-shaped stamp, the 'y' being fairly clear with a loupe, but the 'i' much more uncertain. I doubt anyone can advise on the maker's mark, but if you can cast some light on it's country/town of origin and date that would be very helpful. The maker's mark is first mark below the town mark. 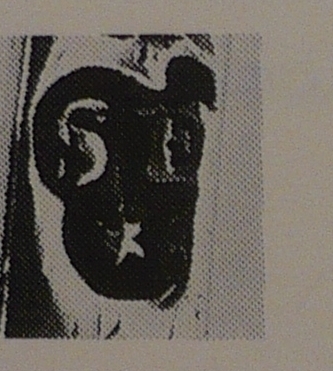 Could you show me a very clear and enhanced image of this mark and can you describe the mark? 1) Rotterdam: Indeed, it's obvious now you tell me! 2) Rotterdam year script: Tardy says that for the years 1783-1807, the letters run A-Z, which for 1805 would suggest an X to me, being English, but now I look at the Dutch alphabet on the web I see 'ij' is another way of spelling 'x' ! Is there a chart on-line showing these pre-1808 marks? There's also a mark on the piece above the city mark, a 'y' with a full stop above, which I took to be the date letter - what is this? 4) Crowned V: Even I was able to identify that! 5) Maker's mark: I've attached a picture below with the mark in different positions since it isn't clear to me which way round it goes. The thing measures just 2mm in diameter, so is incredibly difficult to see! It's seems to be in script form. In one orientation it looks like 'SC' and then if you invert it looks like 'JS' or 'YS'. There also appears to be a 'c', measured in nanometres. Given the various non-overlapping dates: 1805, the taxfree mark of 1807-1810 and the crowned V mark for 1814-1893, what do you think is the story here? There seems to be a little confusion, for Rotterdam year 1805 the letter is ij in English you call it Y. The various different year letters used by the city guilds are not online (yet). Tardy does not provide the necessary in depht information needed. What I thought to be the maker's mark is actually a French import and duty mark & =ET = étranger= foreing. This mark also used as tax free census mark, without guarantee on the standard of fineness. This mark also occurs rather frequently on objects bearing the older marks of Dutch guilds and the duty marks of the Kingdom of Holland, and the 1807-1812 Kingdom of Holland proper hallmarks. The belt hook is made in Rotterdam during the French occupation of the "Netherlands", assay year letter ij for 1805 and in 1807 up for sale, hence the Crowned O. In March 1807, by order of the King of Holland, a new hallmark law on the working, importing and sale of gold and silver objects, including the levy of duty on the same was implemented. Silver smiths, retailers and silver- shop holders could, for a few weeks, bring in their old hallmarked and previous made silver & gold objects and have those objects stamped with the crowned O, the capital letter O for the Dutch word 'Onbelast=dutyfree; free of charge and no tax Duty. After this period, a tax duty had to be paid and the crowned B was applied, the capital letter B for the Dutch word 'Belasting'=Tax. After the 18th of April 1807, officially no work with old hallmarks was allowed to be sold without the crowned O, unless tax was paid and the object stamped with the crowned B. Somewhere between 1809-1813 when the "Netherlands" were part (province) of the French Empire the belt hook came up for sale, hence the & = ET= foreign duty mark. Again somewhere between 1814-1893 Kingdom of the Netherlands-present the belt hook came up for sale in a shop or during a public auction, hence the Crowned V.
Crowned V for large items; duty mark for foreign and other untaxed objects used 1814-1893. This duty mark does not give any guarantee of a precious metal standard of fineness. This mark has been used on metal with a 250 minimum silver content as a duty mark. This mark was destined for all imported, unmarked and invalid marked objects of foreign, national and unknown origin. Upon the invalidation of the hallmarks of Louis Napoleon's kingdom of Holland and those of the French Empire in 1816, this mark also has been used as a tax free census mark. This little belt hook tells us a great historical silver story! The maker's mark, I am afraid is on the curve of the belt hook. We need an image. I will go for a stiff G&T. Thanks for all this fascinating and rather complicated detail; it's very helpful indeed. I'm afraid we will be disappointed with the maker's mark, methinks. The mark in the top right hand corner of my second picture was the best I could achieve. It was badly stamped in the first place and now it's also on a curve. It looks as though it's a heart shaped stamp with two initials, the first possibly being an 'l' and the second being much more clearly a 'y'. There may be a bullet between the first and second initials. That's the best I can do, I'm afraid. Based upon the contours of the shield and the fact the mark is punched on the curve of the hook,I believe it to be the maker's mark of Stephanus Eysma, registered in Rotterdam 1794-1835. Source; N.I. Schadee Zilverschatten drie eeuwen Rotterdams zilver. Historisch Museum der Stad Rotterdam. I don't know how you do it - that's brilliant! I can see some residue of the shapes of an S and E, but even with the thing in front of me I can't see all the outlines of the letters. The contour of the stamp is certainly right. It really was a Friday-afternoon stamp, though stretching it around a curve won't have helped either. I think you've solved all the issues with this piece now, so I'll leave you alone for that quiet drink!